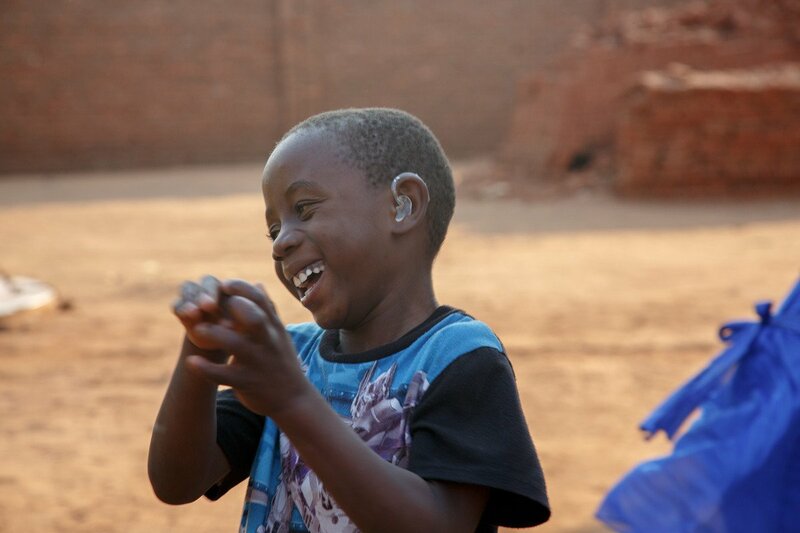 In Malawi, people with hearing loss used to have no point of contact for audiological care. EARS Inc. built up the country's first audiological clinic with Hear the World's support. And today the clinic can be handed over to a local team. Malawi is one of the poorest and least developed countries in the world. For a long time, people with hearing loss had no point of contact for audiological care. EARS Inc. changed this with the establishment of the country's first audiological clinic – an achievement that would have not been possible without the support of Hear the World. After many years of development work, the clinic could be handed over to a local management team. Lacking resources, developed infrastructure and sufficient education, Malawi is heavily dependent on foreign aid. This aid includes the treatment of hearing loss, as its causes are manifold: from untreated otitis media and overdoses of malaria medication, to noise-induced hearing loss. Cases of ototoxicity and hearing loss connected to the HIV virus can also be added to the list. During its years of partnership with the Australian organization EARS Inc., the Hear the World Foundation has played a crucial role in tackling this problem by setting up the ABC Hearing Clinic and training center in Malawi's capital city, Lilongwe. The clinic, whose grand opening was celebrated in 2013, was the country's first audiological clinic at the time. It has all the modern equipment required to accurately diagnose hearing loss and professionally fit hearing aids. Earpieces can be manufactured in its own laboratory on site. The clinic's young and highly motivated team also regularly travel across the whole country. They visit schools, clinics, and even refugee camps, treating those patients who cannot get to the clinic in the capital city of Lilongwe and would not have access to audiological care were it not for these visits. The Hear the World Foundation supports these activities by providing an audio trailer – a bus with all the necessary fitting equipment and two audiology booths. Edgar suffered from malaria when he was two years old. Although he thankfully made a recovery, his treatment with the drug, quinine, was not without consequences. When Edgar started school, he could barely follow lessons and his parents noticed that he often did not react to his name being called. In the end, it was Edgar's grandfather, John, who suspected hearing problems to be the cause and went with him to the ABC Hearing Clinic, where he was diagnosed with profound hearing loss. Although his grandfather was happy to have finally found the cause of Edgar's problems, he also knew that the family could not afford hearing aids. The family was overjoyed when they found out they could get hearing aids from the Hear the World Foundation! The joy of having the hearing aids fitted was even greater: Edgar immediately began to laugh, overwhelmed by the new world of sounds that had been opened up to him. Despite a great many achievements, including setting up the clinic and its outreach program, the Hear the World Foundation continues to support the people of Malawi. Another milestone was reached in August 2017, when representatives of the Hear the World Foundation visited the project and conducted hearing tests on newborn babies for the first time in Lilongwe’s largest clinic. The Hear the World Foundation provided the necessary equipment and ensured the staff were properly trained. "Our goal is to identify hearing impaired babies as early as possible so that they effective intervention can start quickly. This is an important milestone for audiological care in Malawi," explains Ora Buerkli, member of the Hear the World Foundation Board. Fletcher Chisalipo, audiologist at the ABC Hearing Clinic. Training local experts is crucial to ensuring high-quality and sustainable audiological care in Malawi. Audiologists have therefore been receiving training at the ABC Hearing Clinic since 2014. The Hear the World Foundation also gives two ABC students the opportunity to study for a Master's in Audiology at the University of Manchester in England. Thanks to this targeted development work during several years, the former Australian management team can now hand over the reins to a local management team for continued progress. Hear the World will continue to provide support in the form of funding, equipment and expertise. With patience and passion for the patients: Masozie leads the first audiological testing at the outreach trip in Kasungu. An important day for the hearing health of the Malawians: An agreement to introduce a newborn screening is signed! Thanks to the new ABR device, babies can now be further examined after a first hearing screening. Earpieces are manufactured in-house, which considerably reduces waiting times for patients. Edgar gets his first hearing aids - an important day in the life of the little boy! With play audiometry the hearing of little Sarah is getting tested. Thanks to the audio trailer donated by Hear the World, professional hearing tests can be performed outside the clinic. Happy faces: Thanks to his new hearing aids Edgar can again participate in family life. Blessings focuses on working in the outback of Malawi, where the ABC Hearing Clinic offers free audiological care as part of an outreach. Up to 100 patients are waiting in front of the clinic every day. They have often walked or traveled by bicycle many kilometers to have receive free of charge care provided by the ABC hearing clinic team. #HearMalawi received the Hear the World Foundation's annual award named after Prof. Dr. Richard Seewald, who is well known for his tireless efforts in pediatric audiology over many decades. He is a distinguished University Professor Emeritus in the School of Communication Sciences and Disorders at the University of Western Ontario.